November 20, 2009 - The FAA is proposing to put limits on airlines and other operators hiring FAA safety inspectors and their managers for two years after those employees leave the agency in a move to prevent potential conflicts of interests that could affect aviation safety, the Federal Aviation. The proposed rule would prohibit air carriers, flight schools, repair stations and other certificated organizations from employing or contracting with former FAA inspectors and managers to represent them in agency matters if the former employee had any direct oversight of the certificate holder in the preceding two years. This rule also would apply to anyone who owns or manages a fractional ownership program aircraft. “We’re committed to making sure operators don’t hire their former FAA inspectors and create even a perception of inappropriate activities,” said FAA Administrator Randy Babbitt. “The ‘cooling off’ period we’re proposing actually exceeds the restrictions applicable to most businesses that hire former Federal employees.” Current law basically forbids former federal employees (including those at the FAA) to represent an entity before the government on matters in which they were involved. It also places a 2-year restriction on those same former employees from representing anyone in matters that the employee was directly responsible for. The new proposal goes a step further by placing inspector hiring restrictions on FAA-certified companies and fractional ownership operations themselves. FAA policy already provides for a 2-year cooling off period for newly employed aviation safety inspectors, prohibiting them from having certificate management responsibilities over their former aviation employer. This proposed rule would prohibit any person holding a certificate to conduct certain operations from knowingly employing, or making a contractual arrangement with, certain individuals to act as an agent or a representative of the certificate holder in any matter before the FAA under certain conditions. These restrictions would apply if the individual, in the preceding 2-year period: directly served as, or was directly responsible for the oversight of, a Flight Standards Service Aviation Safety Inspector; and had direct responsibility to inspect, or oversee the inspection of, the operations of the certificate holder. This proposed rule would also apply to persons who own or manage fractional ownership program aircraft that are used to conduct operations under specific regulations described in this document. This proposed rule would establish these restrictions to prevent potential organizational conflicts of interests which could adversely affect aviation safety. The rule would not keep operators from hiring former inspectors to serve in other positions (e.g. aircraft dispatcher, flight attendant, maintenance technician, pilot, or training instructor) as long as they do not represent the operator in FAA matters. Background: On March 5, 2008, the FAA proposed a $10.2 million civil penalty against a major airline for operating 46 airplanes without performing mandatory inspections for fuselage fatigue cracking. 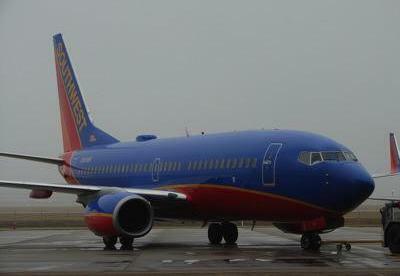 The FAA alleged that the airline operated 46 Boeing 737 airplanes on almost 60,000 flights from June 2006 to March 2007 while failing to comply with an existing FAA Airworthiness Directive (AD) that required repetitive inspections of certain fuselage areas to detect fatigue cracking. After investigating these events, the FAA took steps to improve its safety systems and strengthen regulations to minimize the risk of reoccurrence of these or similar events. One such step was to toughen Aviation Safety Inspector (ASI) post employment restrictions to prevent conflicts of interest. This proposed rulemaking would establish restrictions on persons employing former Flight Standards Service (AFS) ASIs and those responsible for their oversight. Review of FAA’s Safety Oversight of Airlines and Use of Regulatory Partnership Programs. On June 30, 2008, the Department of Transportation (DOT) Office of Inspector General issued its review of the FAA’s oversight of airlines and use of regulatory partnership programs. The report concluded that the FAA Certificate Management Office overseeing the airline that failed to perform the required inspections had developed an overly collaborative relationship with the airline. That relationship allowed repeated self disclosures of AD violations without ensuring that the airline had developed a comprehensive solution for those reported safety problems. The report noted that the Regulatory Compliance Manager for the airline was a former FAA ASI who reported directly to the FAA Principal Maintenance Inspector assigned to the airline when the former ASI worked for the FAA. The former employee had become a manager at the airline two weeks after leaving the FAA. In his new position at the airline, the former ASI served as the liaison between the carrier and the FAA and managed both the airline’s AD Compliance Program and its Voluntary Disclosure Reporting Program. (1) adequate segregation of duties; (2) the avoidance of potential conflicts of interests among its employees dealing with the carrier; and (3) verification of the propriety and integrity of corrective actions taken. The report recommended that the FAA should enhance management controls by implementing post-employment guidance that includes a “cooling-off” period to prohibit an air carrier from hiring an FAA ASI who previously inspected the air carrier from acting in any type of liaison capacity between that air carrier and the FAA. A full copy of the report is contained in the docket for this rulemaking.